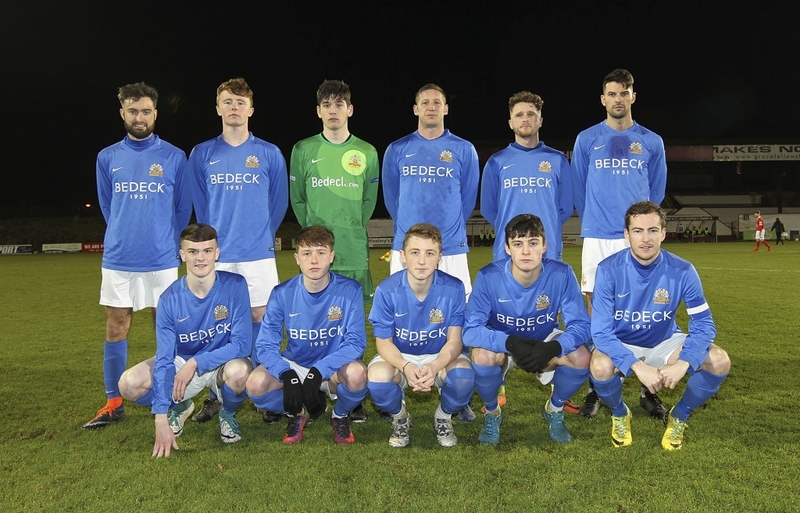 Glenavon booked their place in the Mid Ulster Cup final with a 2 – 1 victory over rivals Portadown in Monday night’s semi-final at Shamrock Park. Goals from Adam Foley and Jordan Jenkins saw the Lurgan Blues take a 2 -0 lead into the break. 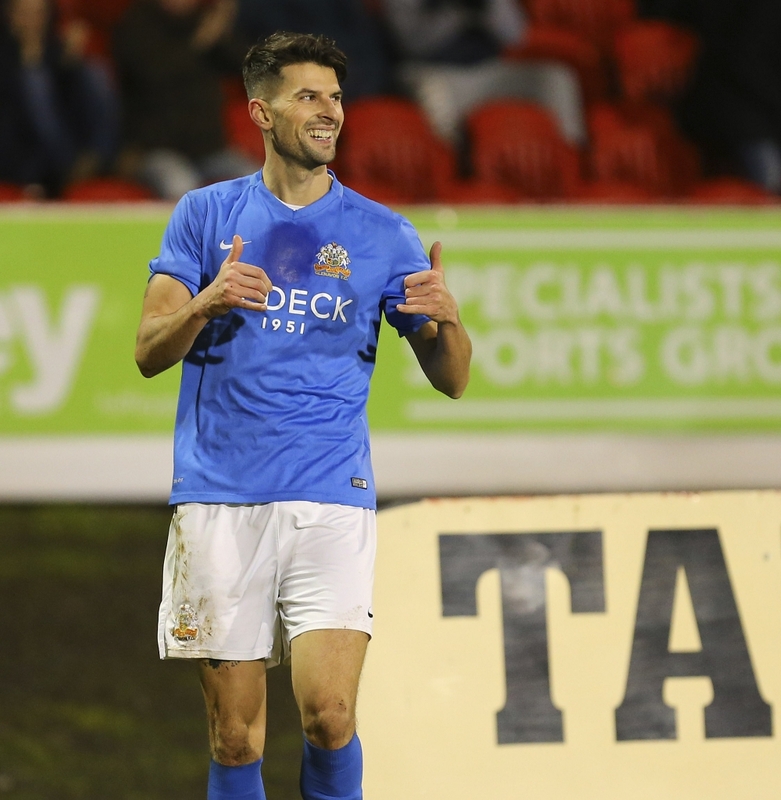 The Ports hit back with a goal from substitute Peter Duffin late in the second half to set up a tense finish, but Glenavon held on to secure their spot in the final. Manager Gary Hamilton made 11 changes to the side who lost 1 – 0 to Linfield on Friday night, including a first senior start for 14-year-old goalkeeper Conner Byrne. Byrne was almost called into action in the opening minute of the game when Adam Salley flashed a dangerous ball across the six-yard box for the home side, but as the first half wore on it was the visitors who began to take control of the match. Striker Stephen McCavitt was denied by a well-timed tackle from Kyle McVey just as he was about to pull the trigger in the 10th minute, while the impressive Foley saw his effort saved by Ports goalkeeper Chris McCaughey after he’d beaten right-back Mark Carson and got a shot in with his left foot. 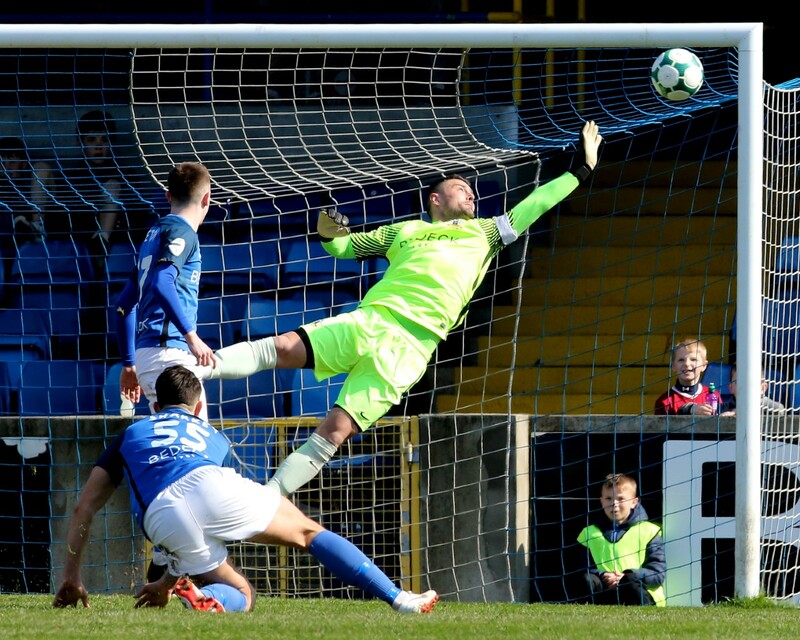 The Ports did have an opportunity to break the deadlock on 20 minutes when former Dungannon Swifts duo Darren Henderson and Stefan Lavery combined. Lavery whipped a dangerous ball in, but Henderson couldn’t quite get the telling touch. 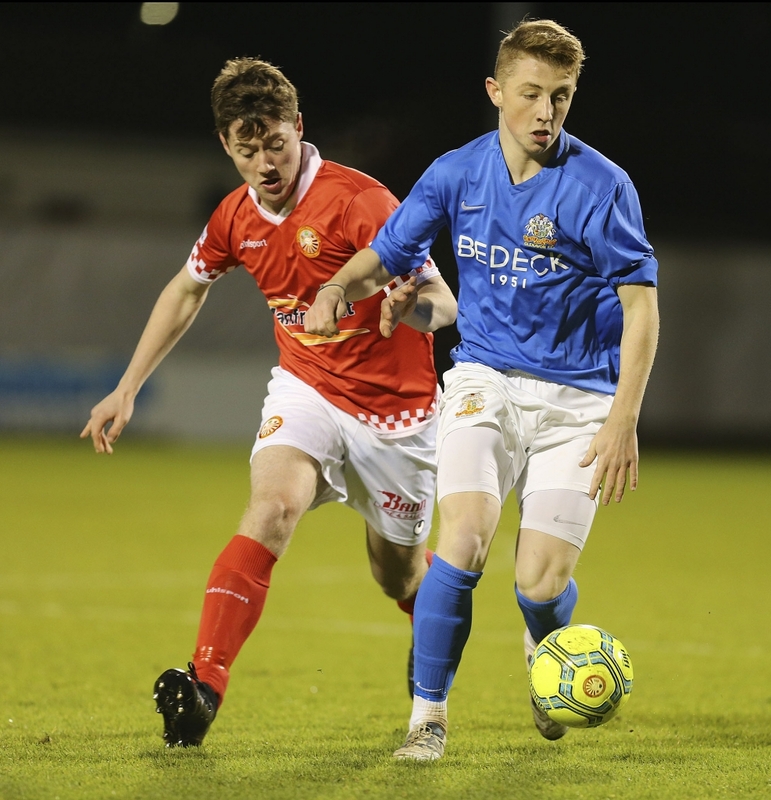 A couple of minutes later young Glenavon midfielder Robbie Norton fired a low shot just wide of the Portadown goal, before striker Marc Griffin failed to convert a cross from captain Andy McGrory whilst under pressure from Fra Brennan. 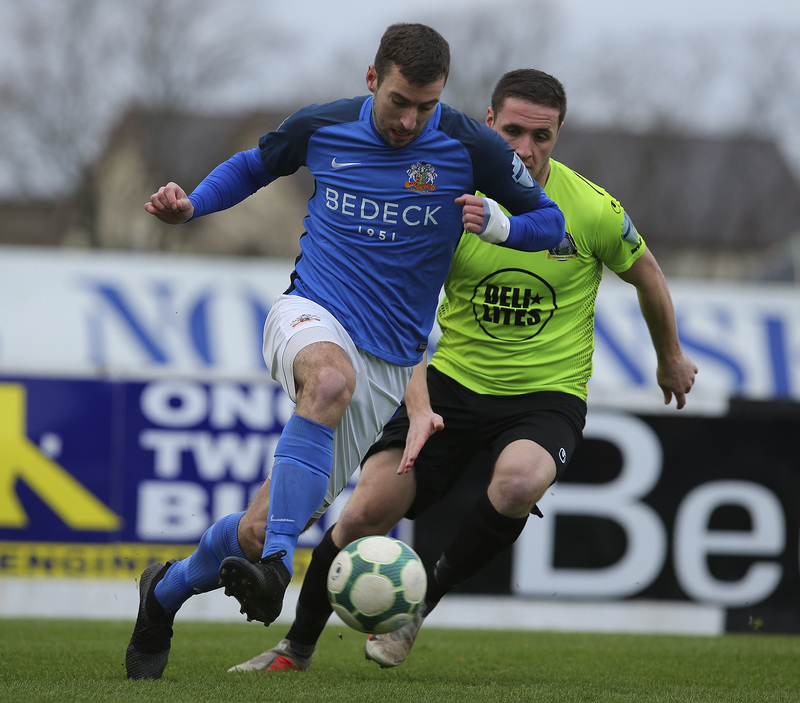 It was Brennan who made the error which led to Glenavon’s opener. He was caught on the ball by Foley, who broke clear and calmly placed his shot past McCaughey in the 28th minute. 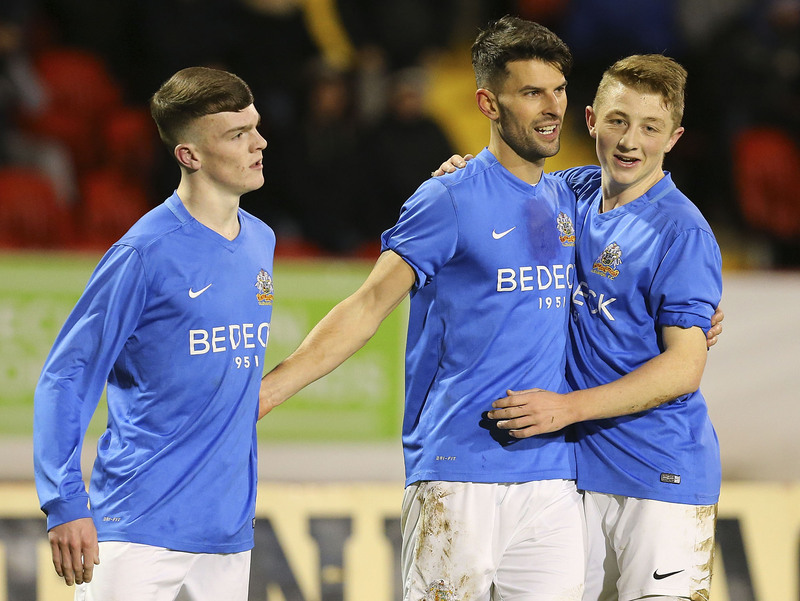 Glenavon had two opportunities to add to their lead in quick succession. First Jenkins dragged an effort wide when he could have slipped the ball inside to the better-placed McCavitt. Then McCavitt himself headed Mark Patton’s cross wide when he should have at least hit the target. It wasn’t to be long before the second goal did arrive, however. Patton and Foley both saw shots blocked before the ball fell to Griffin. He miscued an audacious overhead effort which fell to Jenkins and the 17-year-old made no mistake, lashing a right-foot shot past McCaughey to double the lead. 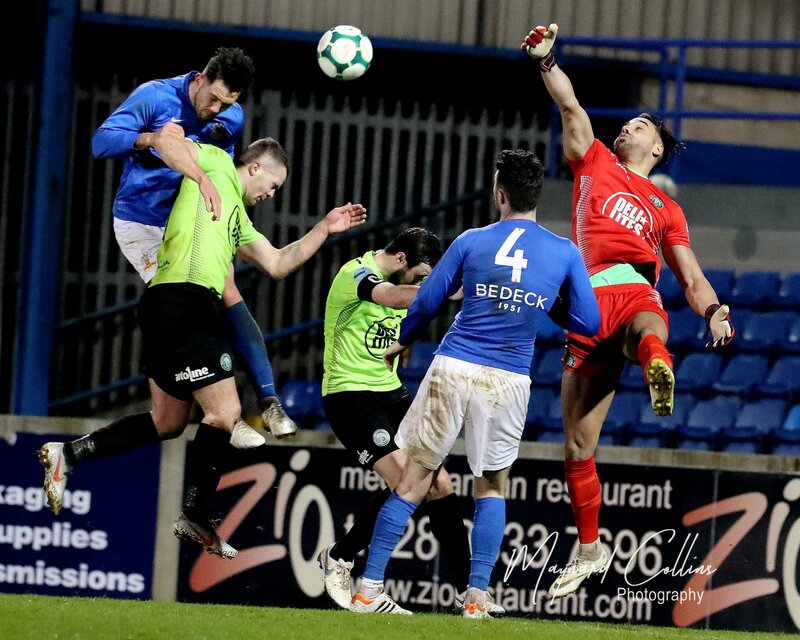 The Lurgan Blues had two penalty appeals against Ports defender McVey in the closing five minutes of the opening period, one for handball from a Foley shot and another for a challenge on McCavitt, but referee Lee Tavinder waved them both away. 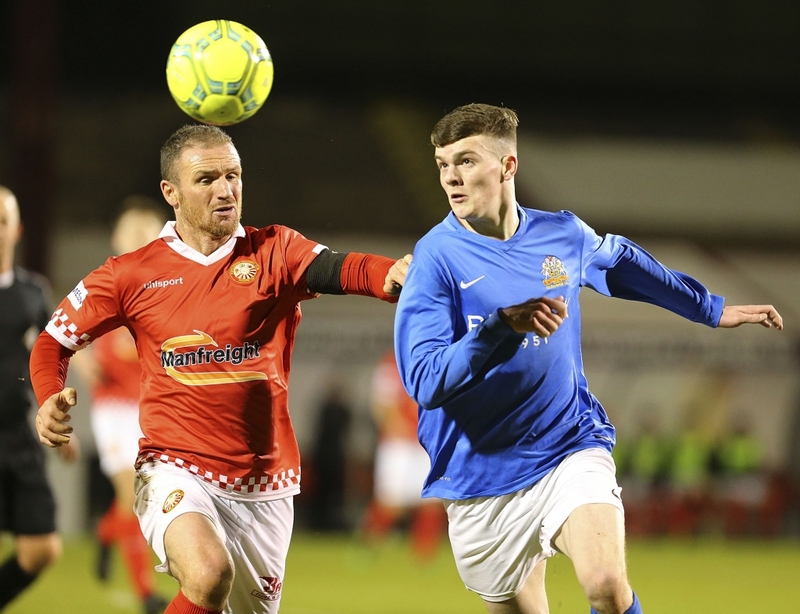 Portadown started brightly after the interval, and Salley might have scored twice in the early stages of the second period. First Lavery pulled the ball back for him on 48 minutes, only for Norton to get a block in, then the striker saw a wicked effort cannon off the crossbar three minutes later. 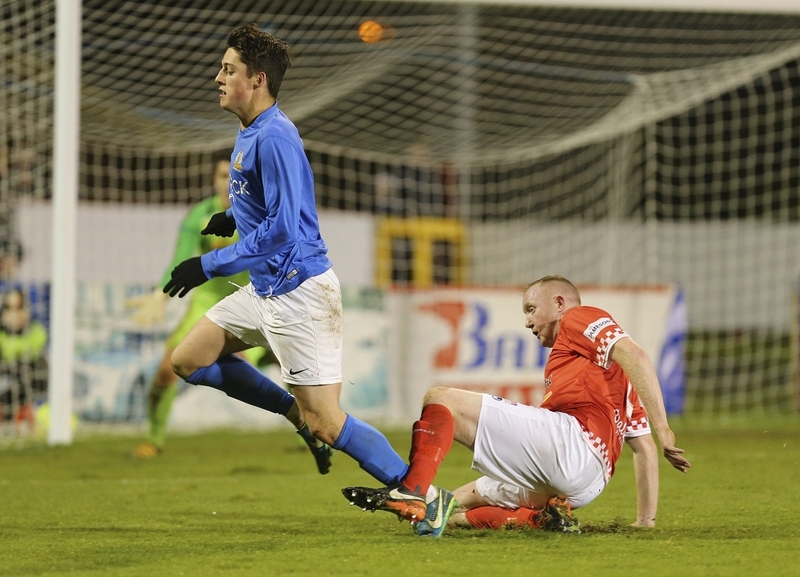 In the 62nd minute Glenavon almost caught Portadown out on the counter attack. Foley fed Patton, who broke strongly down the left before delivering a cross towards Griffin which was just beyond the reach of the striker. 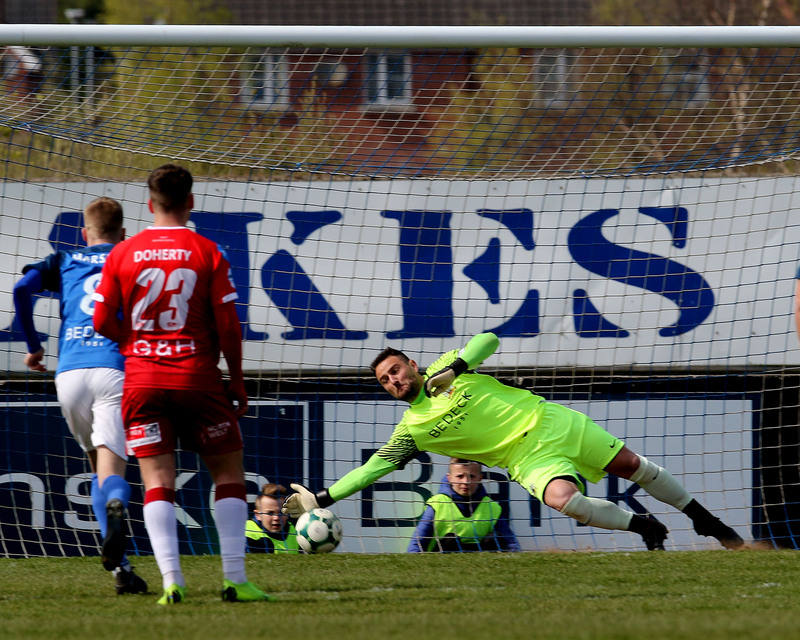 The Ports kept chipping away as the game entered its final stages, and they were rewarded for their efforts ten minutes from time when substitute Duffin pulled a goal back. Fellow sub Callum Ferris picked Duffin out with a cross and his shot took a slight deflection off McGrory, giving young Byrne no chance. The home side pushed for an equaliser in the dying minutes. In the 86th minute Salley flashed a shot just wide, then five minutes later Ferris almost connected with a cross from Carson. 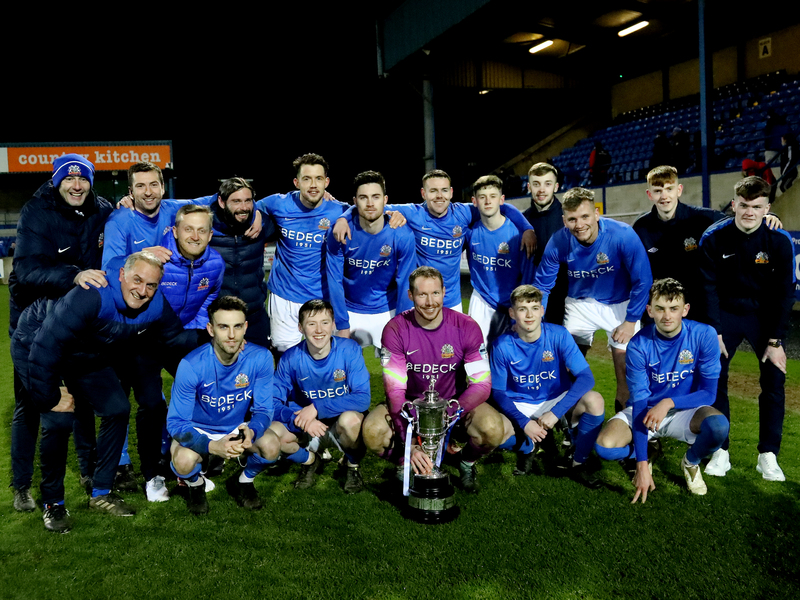 The hosts had one final chance from a free-kick, but Ferris blazed his shot well over the bar and Glenavon held on to win 2 – 1 and book their place in the final, where they will meet the winners of Newry City versus Banbridge Town. That semi-final tie takes place next Tuesday (December 5th) at the Newry Showgrounds. 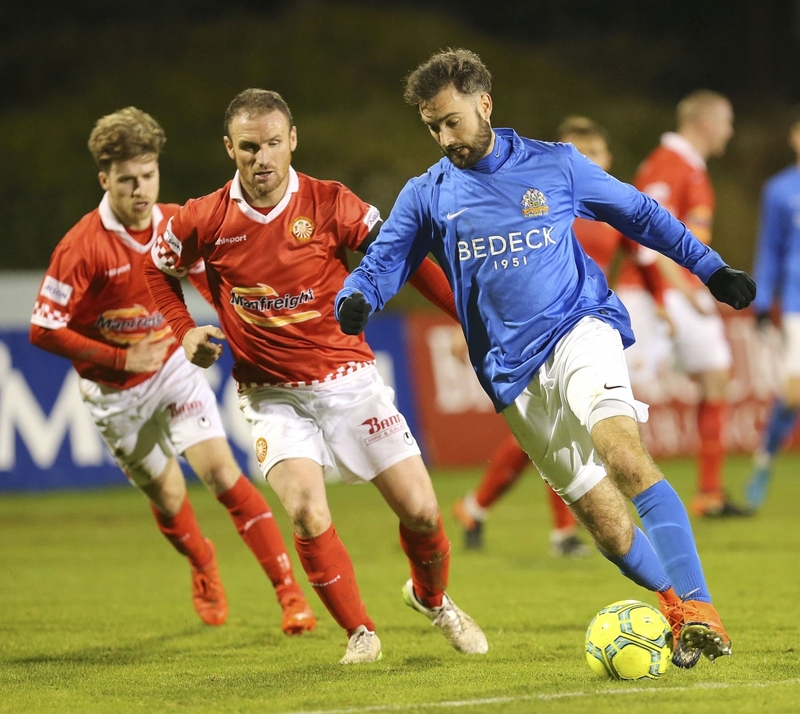 It is a return to Danske Bank Premiership action on Saturday (December 2nd) for Glenavon as they travel to the Bangor Fuels Arena to take on 9th-placed Ards.